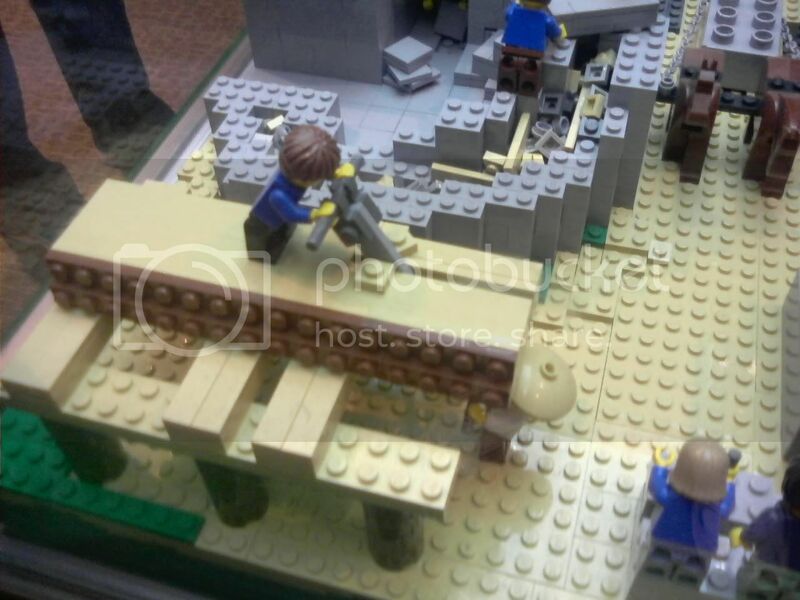 LEGO Castle Adventure is an exhibit currently on display at the Children's Musem of Indianapolis. 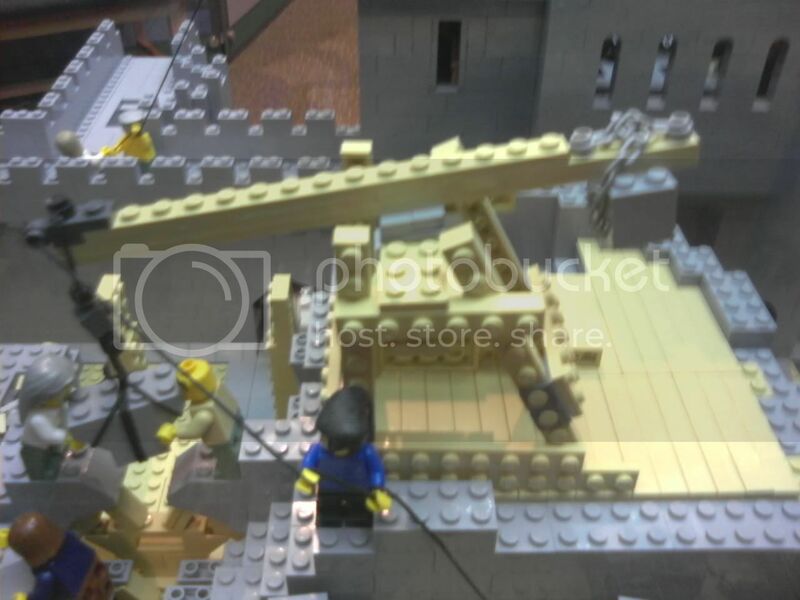 The display includes many activities designed for kids; great models like the Neuschwanstein above, built by LEGO Master Builder Erik Varszegi; and even a castle designed by a fan, who won a contest in the Brickmaster magazine. 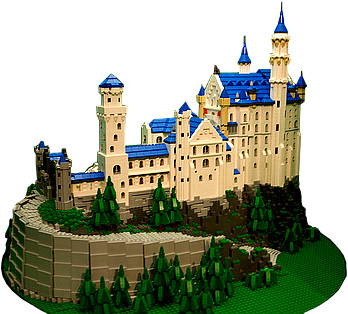 The display models were built by LEGO professionals, with the larger pieces built by their team in the Czech Republic and the smaller models of individual castles built in Enfield. Members of IndyLUG have gotten involved with promoting this event in their area. According to the press release, children will be able to learn about life in a castle, do some building of their own, dress up in period costume and even joust and shoot a catapult. It looks like a lot of fun. The display will be at Indianapolis until May 3 and will then travel to other children's museums around the country. They're booked for the next five years, so hopefully it will come to a town near you. We'll be sure to post additional dates as they are made public. Oh wow that's really cool. The model of Neuschwanstein is great. We actually have a really big poster of neuschwanstein in our german classroom at school. Really acurate model. Sad thing that the tour isn't coming to europe... I'd love to have seen it. Oh, and since I just got back from a Fest: "CASTLE!" May 3rd, thank heavens, I thought I had missed it. 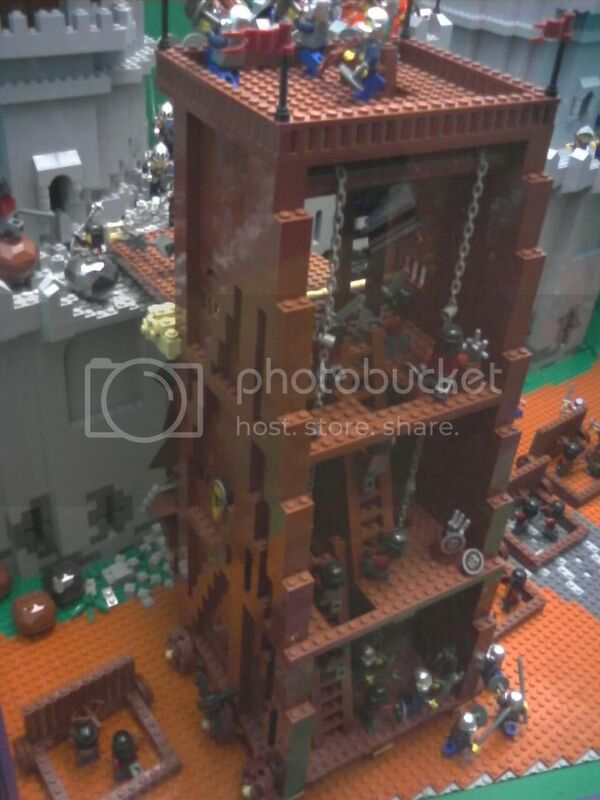 Finally, a Lego Event near me! Okay, so I was able to go to this earlier today, and was pretty happy, because it ends on Monday. I realized when I got there that I ha forgotten the camera, so I had to use my cell phone. Hense, please excuse the quite terrible quality of the pictures. All this took about 10 minutes. For the next hour, I sat down at the lego building tables, and started building, which was by far the best part. After that hour, I had created a gate, wall on both sides, and walkway on top, plus crenelation. I wanted to do the second story of the gate house, but we had to go at that point. So, overall, it was a fun trip. 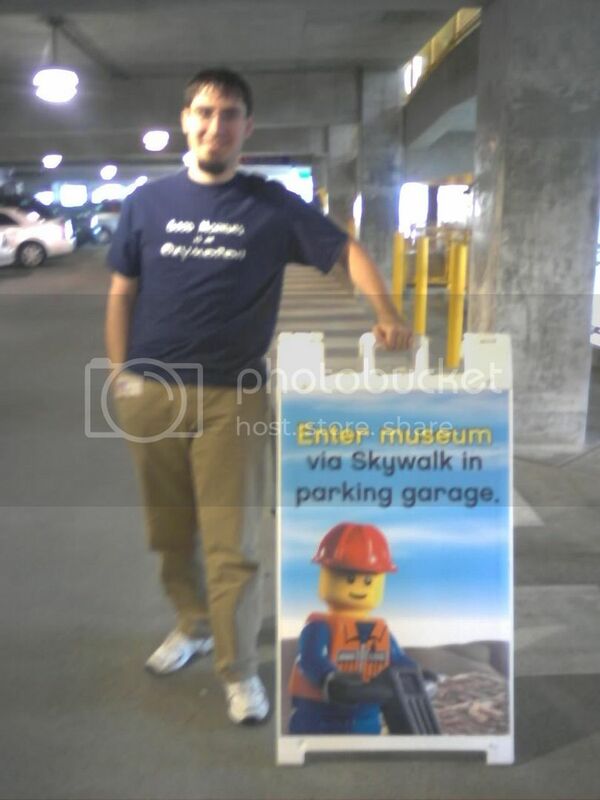 Hopefully the Children's Museum will host another lego exhibit soon. The only other one I remember was the underwater one, many years back. Cool. Thanks for the report and pictures, Kelderic. It looks like fun. They've finally posted a schedule for the traveling exhibit, so you can see when it will be coming someplace near you. Kelderic, did it seem like it would be fun for a four-year-old? That's how old my daughter will be when it gets to my neck of the woods in late 2011. I like how the pathway and gate is built up on the picture. Definitely, Bruce. 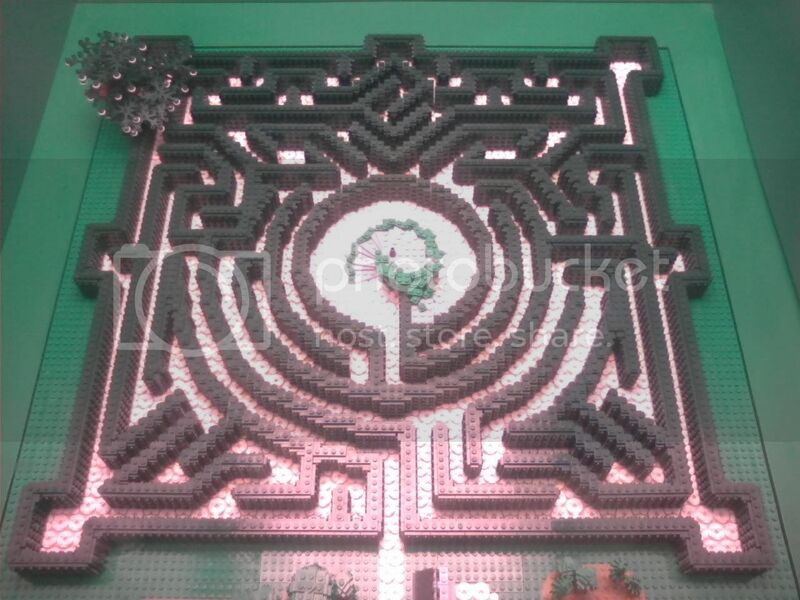 To me, pretty much the only fun thing were the pre-built LEGO models, and the lego building tables. But listening to the kids who were there talking to there parents, they all seemed to be having a great time with the entire place. I listened to several arguments about how the parents wanted to go see the rest of the museum while the kids wanted to stay. So, I think she will very much enjoy it. Be very careful though. I went on Saturday, and on Monday came down with the a pretty bad flu. I've been in bed the most of the past week, finally coming out of it now. While I don't know if it was from the Castle Adventure, there were hundreds of people all touching the same pieces at the building tables. Any one person could have spread something to many of us. hahaha, a bunch of the soldiers in the seige tower are wearing Break Jaw helmets! "Nothing wrong with me. Not a frog. Nothing frog with me. I'm a respectabiggle . . . Reshpeckobiggle." I so have to go see this. Too bad I don't have kids to use as an excuse! 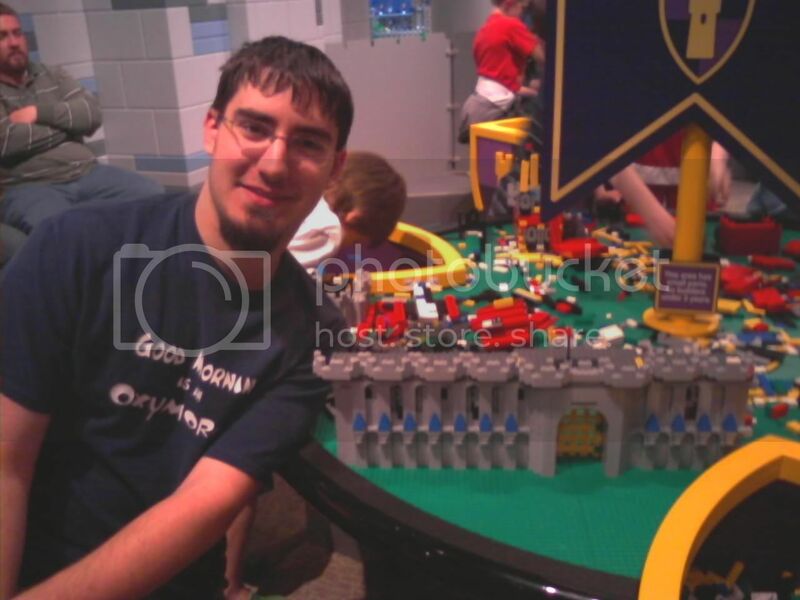 This traveling exhibit is now in Michigan, at the <a href="http://www.thehenryford.org/events/legoExhibit.aspx">Henry Ford Museum</a> and will remain there for ~3 months. I missed it while it was here. I don't even have an excuse; I live less than an hour from the Children's Museum. I think I hate myself a little bit right now. Still, it was nice to see some of what they had there.